Self-professed wine connoisseur Kevin O'Leary gives advice to a lady from Solano Beach, CA on her lighter, healthier alternative to a full-bodied wine. Likewise, Robert Herjavec has some suggestions for a former merchant marine from Anacortes, WA on his innovative, deep-sea treasure hunting business. 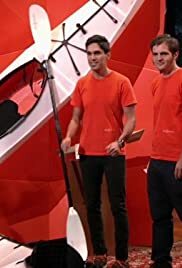 Three men from San Francisco, CA hope to paddle their way into a deal with a collapsible kayak that folds up like the traditional Japanese art of origami, and a couple from Pleasant Hill, CA reveal to the Sharks the surprising twist they put into their decadent cinnamon rolls. Also, an update on Jim Tselikis and Sabin Lomac from Los Angeles, CA and their Maine lobster roll food truck business.